The thrilling conclusion to the New York Times bestselling Tearling trilogy. In less than a year, Kelsea Glynn has transformed from a gawky teenager into a powerful monarch. As she has come into her own as the Queen of the Tearling, the headstrong, visionary leader has also transformed her realm. 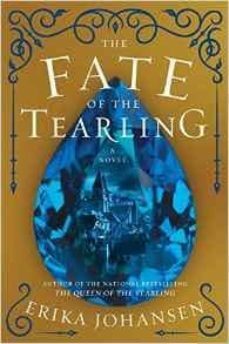 In her quest to end corruption and restore justice, she has made many enemiesincluding the evil Red Queen, her fiercest rival, who has set her armies against the Tear. To protect her people from a devastating invasion, Kelsea did the unthinkableshe gave herself and her magical sapphires to her enemyand named the Mace, the trusted head of her personal guards, regent in her place. But the Mace will not rest until he and his men rescue their sovereign, imprisoned in Mortmesne. Now, as the suspenseful endgame begins, the fate of Queen Kelseaand the Tearling itselfwill finally be revealed.